Ever wanted to come to one of our African drumming gigs but can't quite make it out until midnight? Well here is your opportunity to see us perform at 10 in the morning! 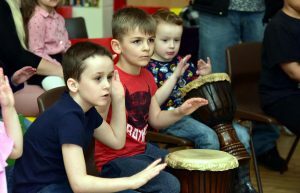 Drumroots are proud to announce that we have been invited to Eatock primary school in Westhoughton, Bolton for their special African Beats launch event on Saturday 3rd February. We will be putting on an extra special performance with our professional drumming group 'Tanante'. Not only will Tanante be featuring Iya Sako our master drummer from Guinea but we will also be inviting a surprise special guest all the way from East Africa too!